Greg Wells and Daniel Sylvester founded We Are Beer back in 2013 as a platform to celebrate the creativity and diversity of the UK's modern brewing culture. First, they started the London Craft Beer Festival which was the UK's first tasting-led festival with headline music acts and top notch street food. Bristol was their next point of call, before finally bringing a Craft Beer Festival to Edinburgh last year. The festivals attract over 125 brewers from across the country – including Beavertown Brewery, BrewDog and the Scottish Borders' Tempest Brew Company – as well as Mikkeler from Denmark, Dugges from Sweden and Stillwater Artisanal from the US. Compared to 2,000 attendees at We Are Beer's first festival, 17,000 beer drinkers are expected to attend the events in London, Edinburgh and Bristol this year. 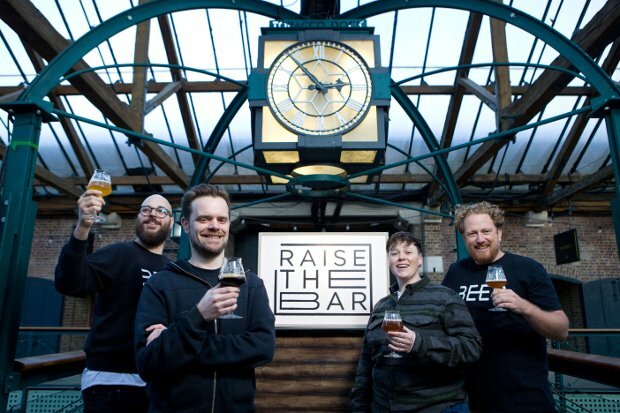 In attempt to showcase new talent at the festivals, Wells and Sylvester have launched 'Raise the Bar' – an initiative that invites submissions from upcoming brewers. All entries will be blind tasted by an expert panel including former Beavertown head brewer, Jenn Merrick, Jonny Garrett from Craft Beer Channel as well as the We Are Beer team. The top four brewers will then be invited to pour their beer at all three festivals. Tickets for the Edinburgh and London Craft Beer Festival are now on sale. Tickets for Bristol will be on sale in March. Scotland’s global craft beer gathering returns with breweries from around the world, street food and live music. As the sun starts to warm up Scotland it’s taps aff for beer bottles.